Towell's work engages the issues of our time, from conflict and displacement in Central America, to social unrest in the Middle East. His images record the dynamic of the immediate present, the explosive vitality of the here and now, and the way that this immediacy is linked to the historical continuity in the areas that he has covered. He became the first Canadian member of the Magnum Photo Agency in 1988. This exhibition represents his work in Central America, Palestine, and in Mennonite communities in Canada and Mexico. 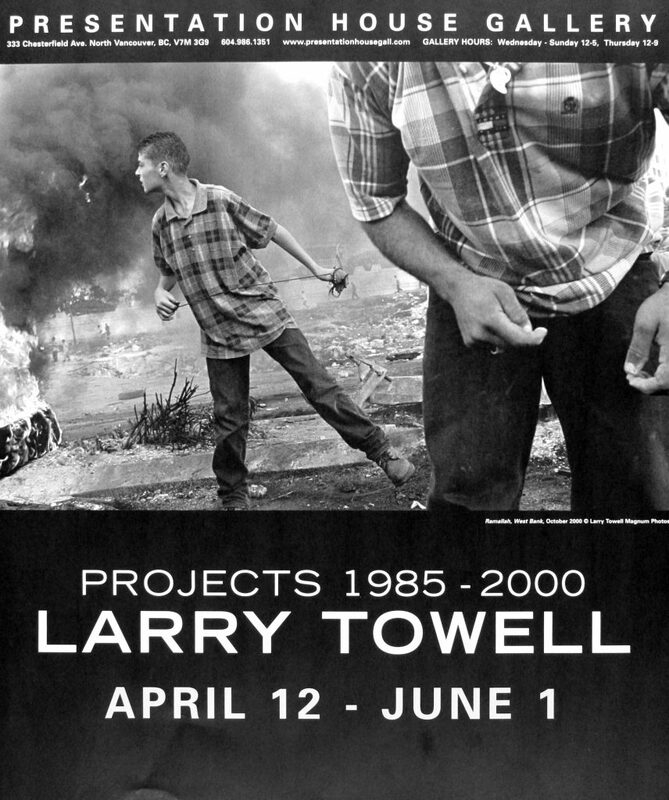 Wednesday May 14, 7:30pm | Larry Towell, short talk and a ‘meet the artist reception’. 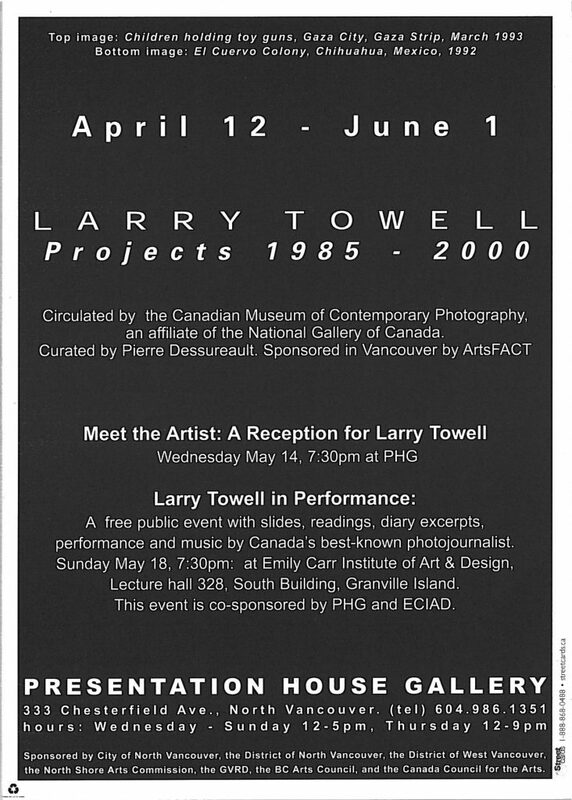 Sunday May 18, 7:30pm | Larry Towell in performance; a collaboration with Emily Carr Institute of Art & Design, at ECIAD. 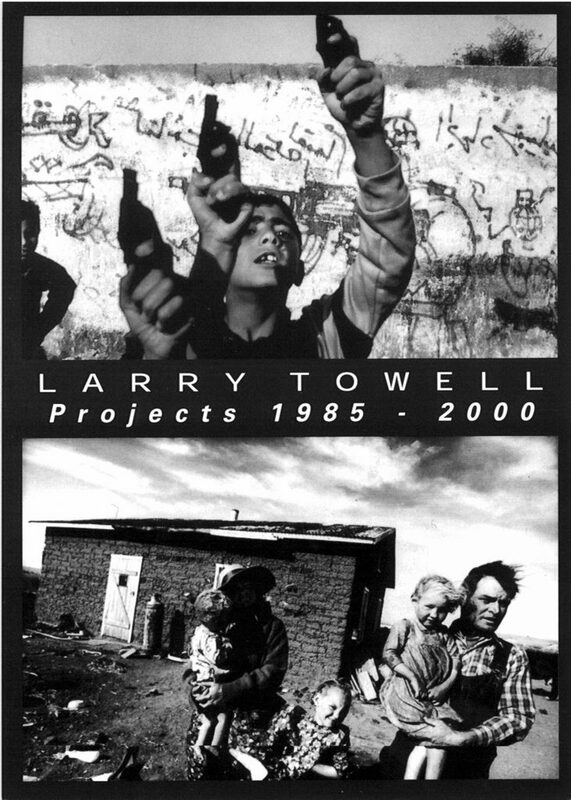 Poster for the exhibition "Larry Towell: Projects 1985-2000"